THE fate of Annastacia Palaszczuk's tenuous grip on power will be decided by just a few thousand votes across the state. 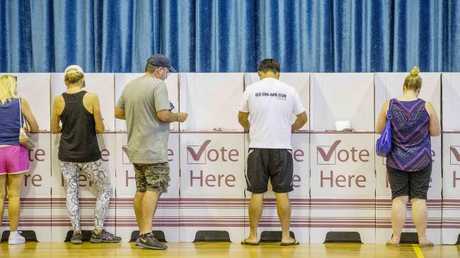 With 11 seats hanging in the balance throughout Queensland, the result is split by about 4500 votes, with some seats having a margin between the two parties as low as 30 votes. Aspley, Burdekin, Gaven, Maiwar, Cook and Townsville all look set to go down to the wire, dragging out the counting process. LNP MP Dale Last was last night holding out Labor candidate Mike Brunker by just 34 votes with the pair continually trading places throughout the course of the day. Young LNP gun Sam O'Connor continues to just hold out Labor candidate Rowan Holzberger in the new seat of Bonney by 200 votes. The seat of Cook in north Queensland will come down to the last preferences with Labor and One Nation battling it out. Labor candidate Cynthia Lui was last night leading but it is expected there will be a late push from One Nation due to preferences from the Katter Australian Party and the LNP. Candidates were last night left hanging with some saying they expect the counting to go well into next week after recounts are called for close seats. 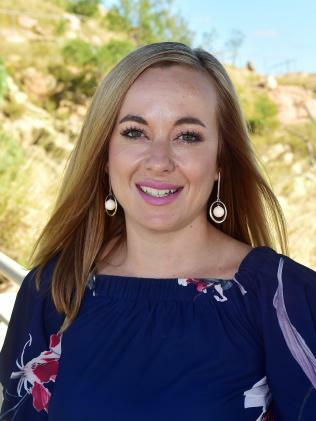 LNP Townsville candidate Casie Scott, who currently leads Labor MP Scott Stewart by just 61 votes, said she had gained a handful of votes through a recounting process. LMP Townsville candidate Casie Scott. Picture: Shae Beplate. "It's obviously going to be a photo finish so it's really hard to speculate at this stage about what it is going to look like in the wash up," she said. "We still have about 765 postal votes to go, which will be crucial to the result that will decide it." 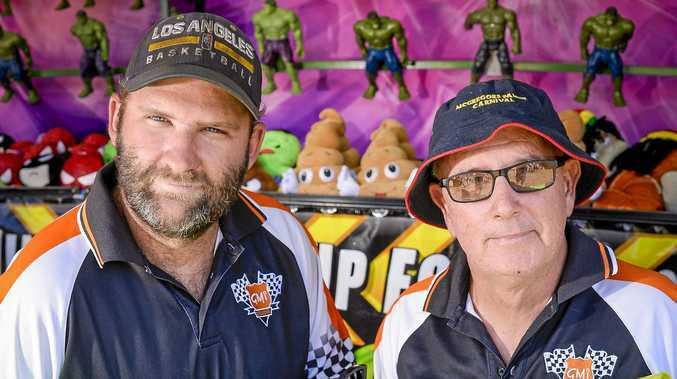 LNP sources also revealed there were concerns with the count in the seat of Thuringowa, despite current MP Aaron Harper already claiming victory. The ECQ last night said they were carrying out a "check count", which is considered normal procedure. It comes as Rockhampton Mayor Margaret Strelow looks all but certain to take the seat as an independent after losing out in an ugly Labor preselection battle before the election. "One thing is clear from this result in Rockhampton is that voters have really taken control of their own vote," she said. "How to vote cards have been treated as gentle suggestion, not as a directive. The preferences are not following any expected pattern and show a very deliberate and considered voting public."